It's official. 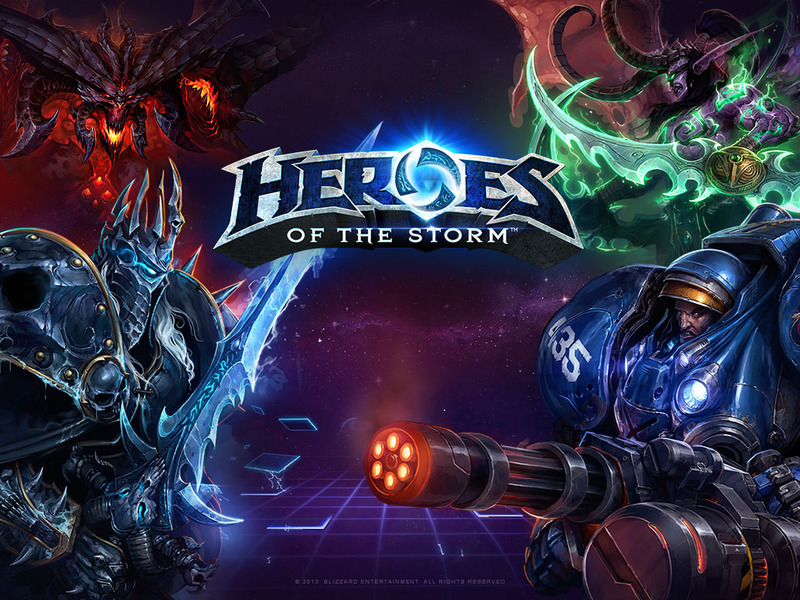 Blizzard is doing their own MOBA. It was just streamed at Blizzcon so a video will be on here shortly! Just to clarify, this is the new form of Blizzard DOTA All-Stars which I think they announced 3(?) years ago. Correct. They just changed the name about 3 weeks ago. Which has the potential to have it's name changed yet again if a (Finish? )programmer wants to push the issue. So glad I was able to play that at BlizzCon 2010. This updated one looks very different. It would have been nice to something resembling the game. I'm looking forward to the casted matches as well as the panels on the game. Makes me very happy I bought the Virtual Ticket this year. This makes me wish I knew more about Blizzard games. Only thing I've really played was a little WoW when it first came out and Diablo 3. There is a gameplay video they showed during the stream. Check YouTube. I would add it but I'm on my phone right now. I've played a little Diablo 2 and that is cool but I am terrible at RTS games. It is something I've had to come to terms with as a gamer. I've tried to play so many but I'm just terrible at them. Will be interesting to see how this turns out - I'm not a fan of MOBAs in general, but I'm also not a big fan of CCGs yet love Hearthstone. Blizzard does have a talent for making things accessible. Read a bit about what was covered at BlizzCon and it really does sound like they're changing some of the stalwart MOBA fundamentals. Team leveling, for instance, sounded particularly interesting as did the goal for 20 minute games. If it's free to play I'll probably check it out (and do badly since that is my MOBA specialization). Maybe I'm being harsh but I think that looks like any random F2P game. I think the trailer's bad and I think the name is bad. But I also don't like the name. I can't stop hearing this song whenever I see the name. After watching the cinematic trailer it looks like they're just having fun and being absurd at Blizzard. This also has the same acronym as Heart of the Swarm. Somebody gon' get fired for that. Did Diablo have rainbows? Hilarious! Also, ETA on this is 2020, right? Is this one going to make me master the "last hit" game before I can start playing the territory control game? 2:50-ish they say they're de-emphasizing last-hitting as a mechanic. They're also calling this the "hero brawler" genre, as opposed to MOBA. That says some interesting things about their philosophy here. I like the term, though I think I still prefer "Lords Management." It's like Blizzard is doing their own Final Fantasy Dissidia. That's what the trailer looked like. One of the old previews / hands-on from the All-Stars version I think said there is no last-hit bonus, and everyone involved in the kill gets the experience. I doubt any major developer would use MOBA since it's a marketing term made up by Riot. Aside from that, it's the most nebulous name for a genre. Every multiplayer game is a multiplayer online battle arena. Hero brawler is much more descriptive. Remember the live matches are at 2PM Pacific today. I don't know if they're on twitch or the free stream. EDIT: I really like the sound of the different maps they have in this. Blackheart's Bay sounds like a lot of fun. EDIT 2: Huh, they have different Diablo models for the game. I wonder if there are actually different versions of Diablo you can play, or if it's just skins. EDIT 3: I like that the neutral camps show their own timers. So far I'm excited. 15-20 min matches, different ultimate for Heroes, different maps and evironmental quests. The match length is the biggest plus for me. Hopefully the shorter match length would reduce the emotional investment (and associated vitriol-spewing) from players as well. I'd kind of like to see them introduce a Hearthstone-like system of friends being able to chat with you but strangers only being able to use preslected comments, but I suspect it wouldn't be practical. Seconded. With a family who can interrupt me at a moment's notice, being able to be out of a game in 15-20 min instead of the 45-60 min commitment for a game of LoL is huge. Really good break down of the game by RPS. Super impressed by the game after watching the two matches they casted at BlizzCon. I feel like its not going to compete with Dota or LoL because of how many mechanics they've changed, which is great news for them and for gamers looking for something fresh. They seem to be making a similar move with this as they did with Hearthstone. If Magic: The Gathering is to Hearthstone, then Dota is to HotS? I like that idea. I've updated my beta settings...just in case. This made me interested. I'm one of the ones who has ignored the genre because of all the walls set up by the games themselves and the community around them. Removing a lot of those, shortening the matches, and assumedly using the league/matchmaking system from starcraft could make this a legit gateway game. After seeing some of it I am way more likely to play this and stick with it at least a little bit than I ever was or will be with the other usual suspect MOBA junk.